Last night I watched the Falcons lose to Minnesota. 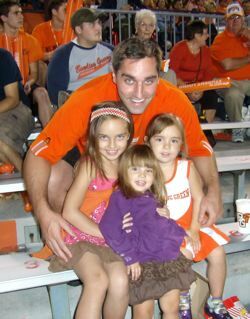 Yet, my girls and I had a blast at our first full game together. avenged last years upset… Hats off. a mental message to shift back the momentum to your team. 3 plays so they are forced to punt and so on. This is the fastest way to overcome short term adversity. excitement great things happen. And I witnessed it several times. and the key point is to move not sit. any possible set back. This is just the tip of the iceberg too. and climb on board the Success Rocket Club. This entry was posted on Sunday, September 7th, 2008 at 1:28 pm	and is filed under fitness, success. You can follow any responses to this entry through the RSS 2.0 feed. You can leave a response, or trackback from your own site.